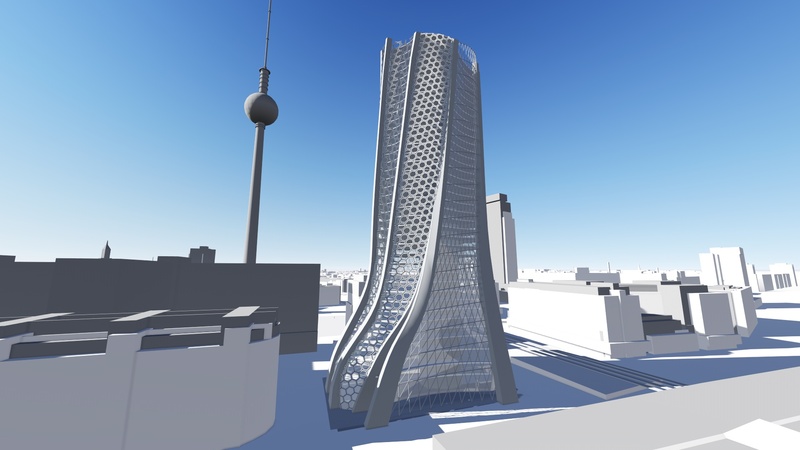 Berlin Tower – Cigler Marani Architects a.s. 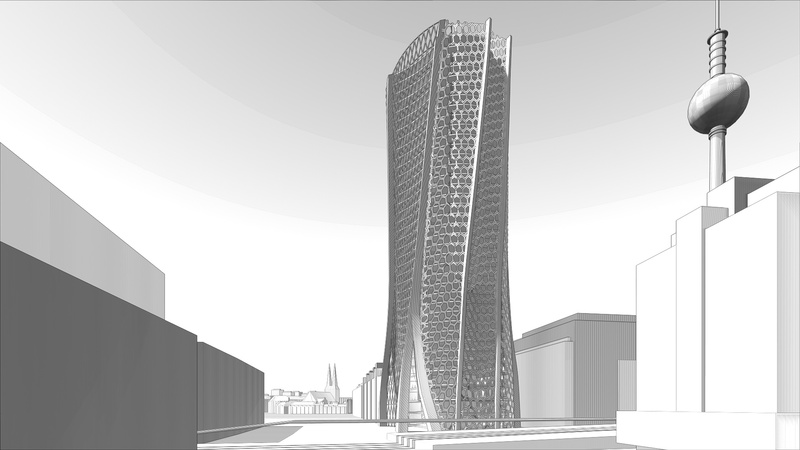 This is a study for a 5 star hotel in Berlin on Alexander Platz. 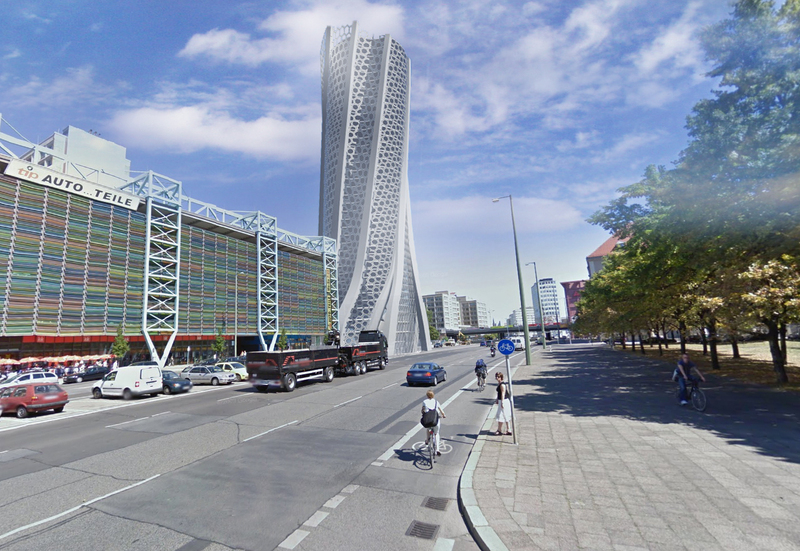 The tower twists around a round core, this allows access to the corridor and rooms in all geometric conditions. Dubai Hotels – Cigler Marani Architects a.s.